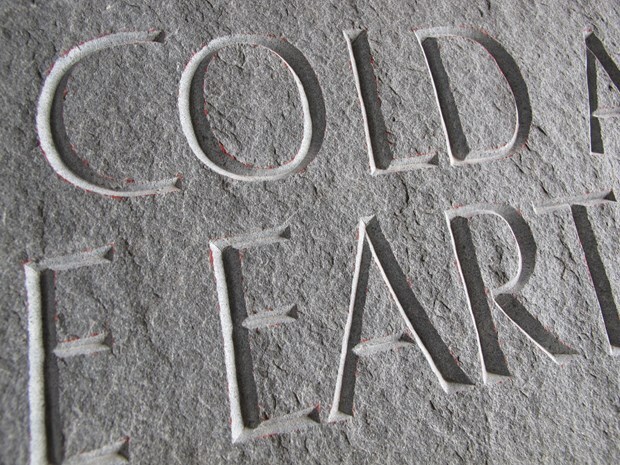 I have been drawing and cutting letters in stone, wood and bronze since seeing the work of David Kindersley in the early 80s. My fascination for alphabetic forms which were once figurative and are now entirely abstract, became a lasting passion. My practice is rooted in the old craft tradition of design for materials, the drawing for each piece must be sympathetic to the medium and tools. I have an extensive knowledge of historical forms, which I happily plunder and adapt to create a unique alphabet specific to each new project. 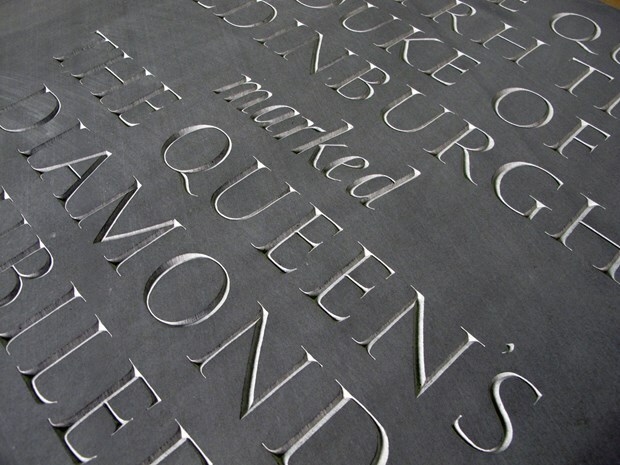 Examples of this working method range from bronze lettering both raised and inlaid at the Dean Gallery MOMA Edinburgh, to incised lettering in stone at the Serpentine Gallery, to wooden handrails in Saltmill Park, Saltash. 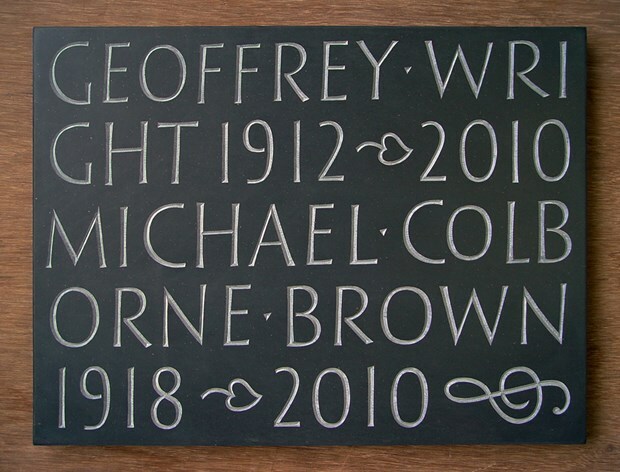 My influences include Eric Gill, Ralph Beyer and Michael Harvey. However my real tutors are the many students whom I have taught over the past twenty five years. I take a sculptural attitude to my pieces believing that they should be lettered forms, not simply an inscribed surface. 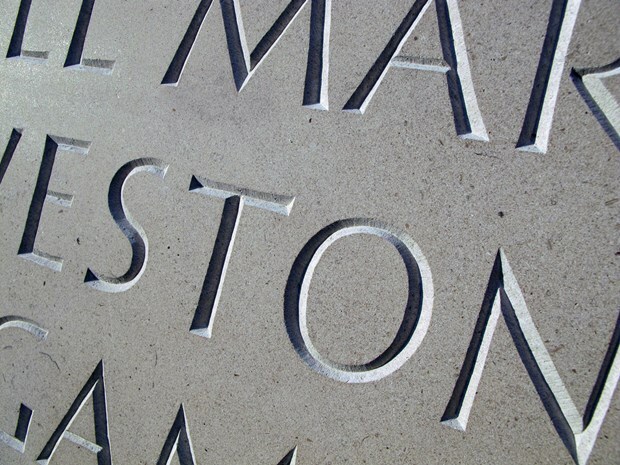 My work ranges from large architectural inscriptions to smaller scale more personal pieces including memorials. 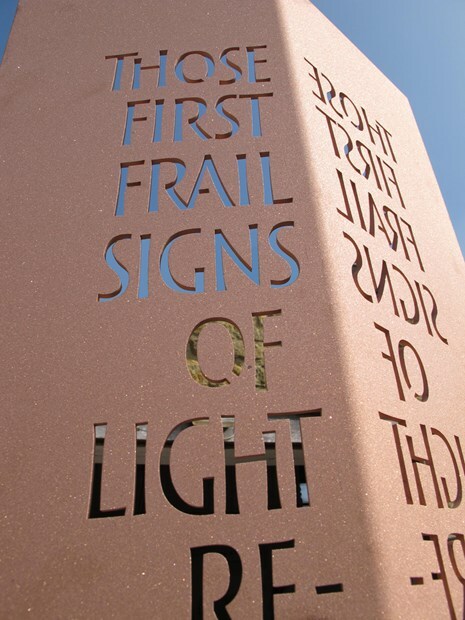 I have collaborated with other artists and poets, notably Ian Hamilton Finlay, on many occasions.